Cold Spring Harbor Whaling Museum - Viajeros. Amigos. 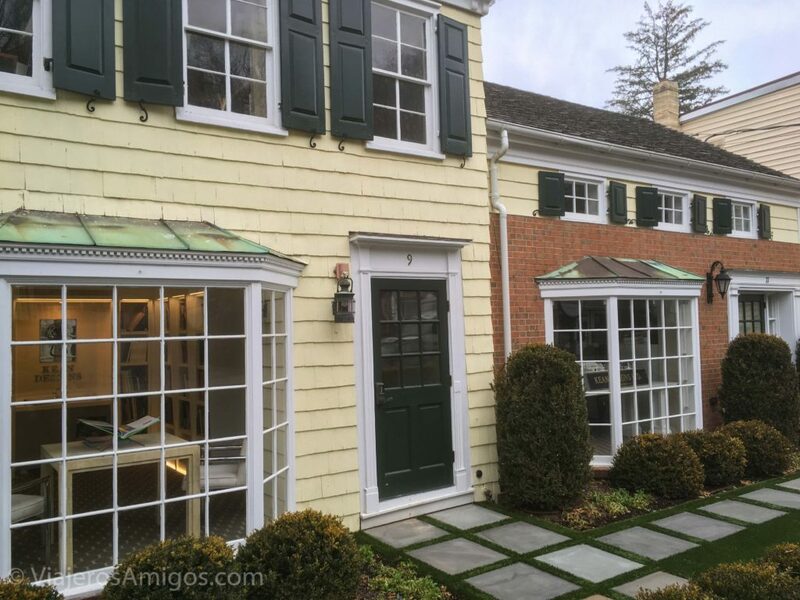 Nestled away on the North shore of Long Island, Cold Spring Harbor is a cute little town tied to the history of the prosperous whaling industry. It is in an area known for affluence and is also the title of Billy Joel’s little-known debut album. One cold weekend in February I found myself on Long Island looking for something to do. 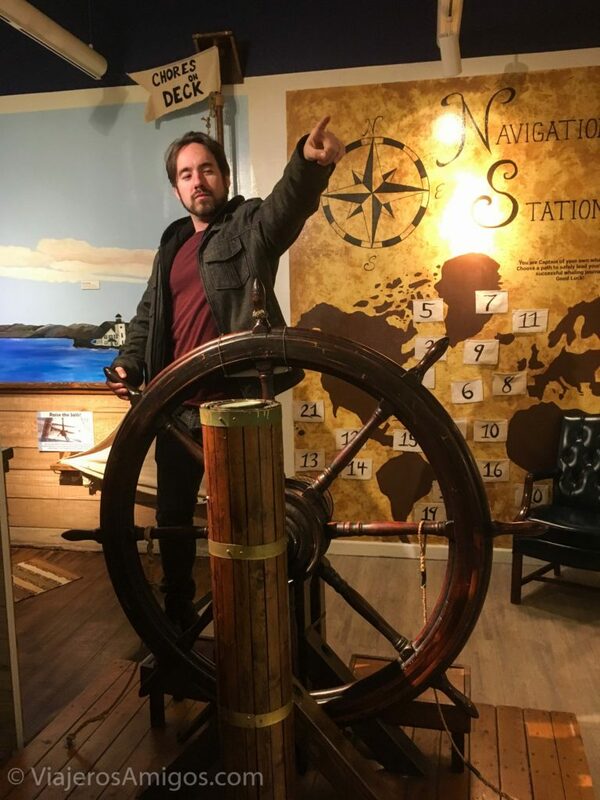 After a bit of web surfing, we found the Cold Spring Harbor Whaling Museum. The museum itself is quite small, but it packs a lot of education in. We spent about an hour and a half there. 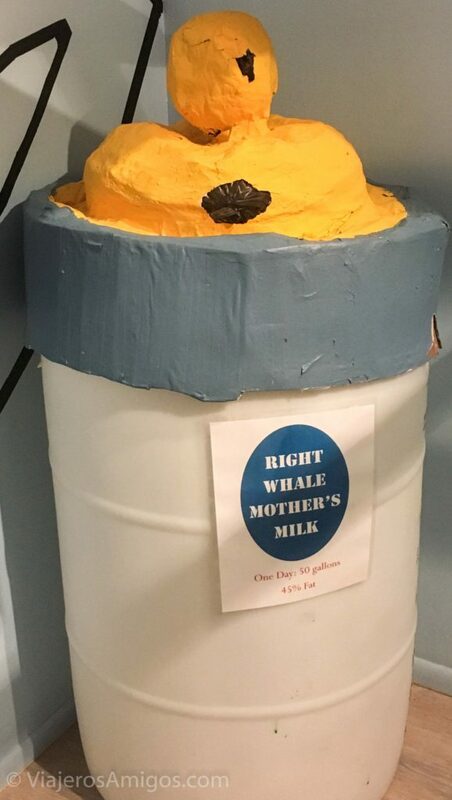 This is a day’s worth of whale milk. 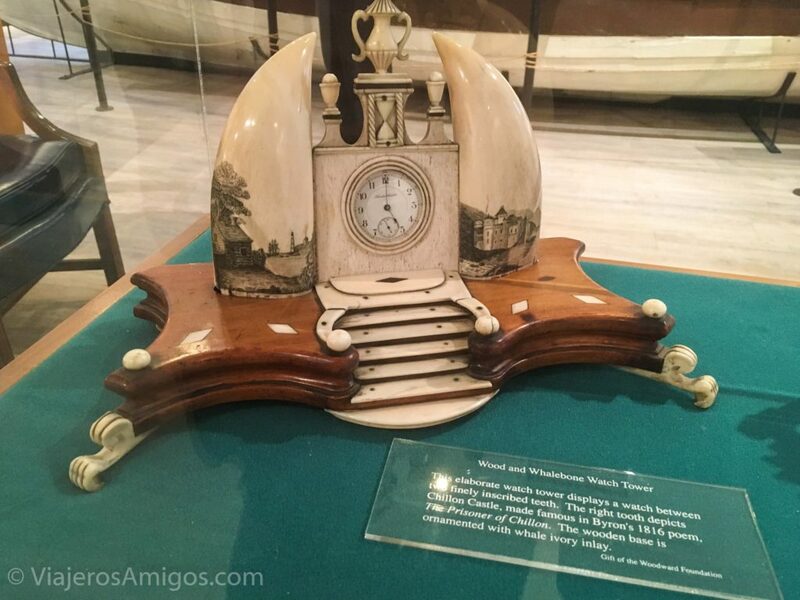 The museum is loaded with beautiful scrimshaw (art sailors would carve out of whale teeth and bones). They have various bones of whales set up; some baleen too. In another room, it is set up to discuss the hardships of life on a whaling ship. 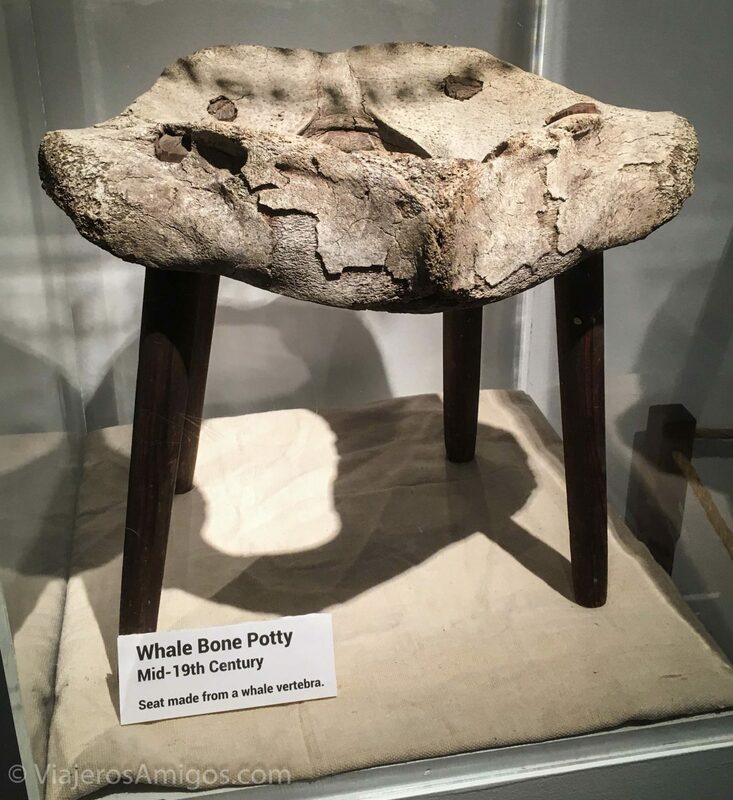 There are things set up to imitate the smell of the burning whale blubber and a model of a portion of a whaling ship hull. The museum paints a very tough life for the average whaler. It then goes onto discuss the actual whale hunt and has a full-scale boat set up that the hunters would ride in. After harpooning the whale, they could be pulled full speed for hours or even days on end, all the while holding onto the boat for dear life. At the end, they may need to row all the way back to the ship so they would need to bring navigation equipment with them. What I really liked about this museum is that it doesn’t glorify the town’s whaling past. It shows it for what it is and does some deep reflection on the whaling industry’s effect on the environment, and the whales’ populations. 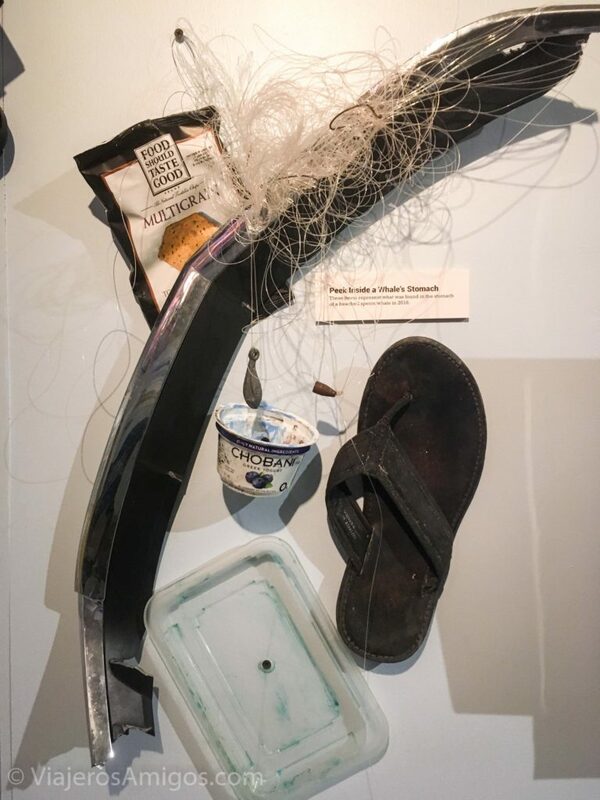 The museum had a strong environmental message about pollution and what it does to whales. 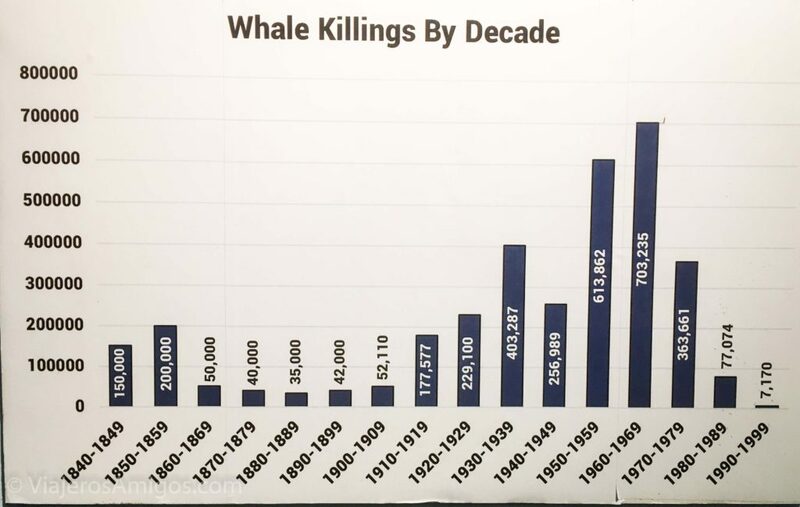 Note that the height of whale killings was actually in the 1950s and 60s, when technology helped things along. They even had a display set up to provide an example of the average stomach contents of whales today. The museum got a bit grim and depressing at points. 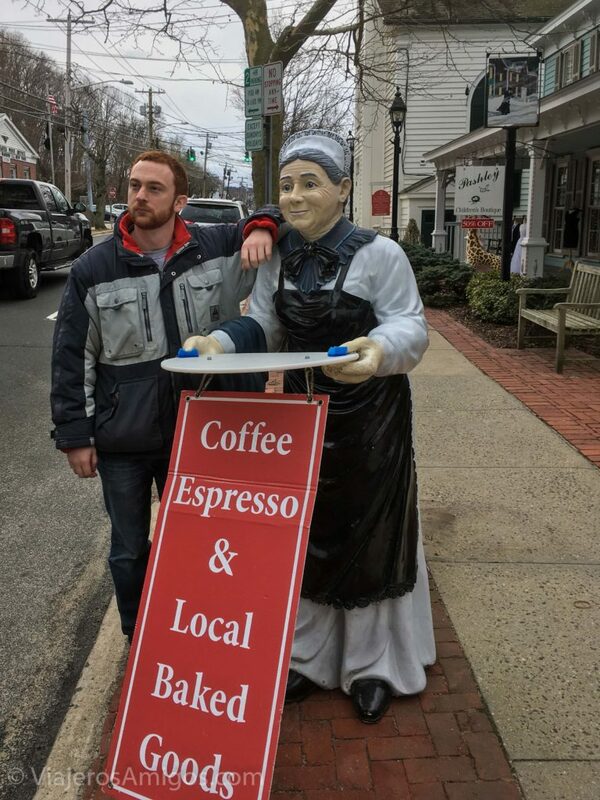 So once we finished up we took a stroll through the town. Cold Spring Harbor is very small. You can walk from one end of the main street to the other in about 10 minutes. 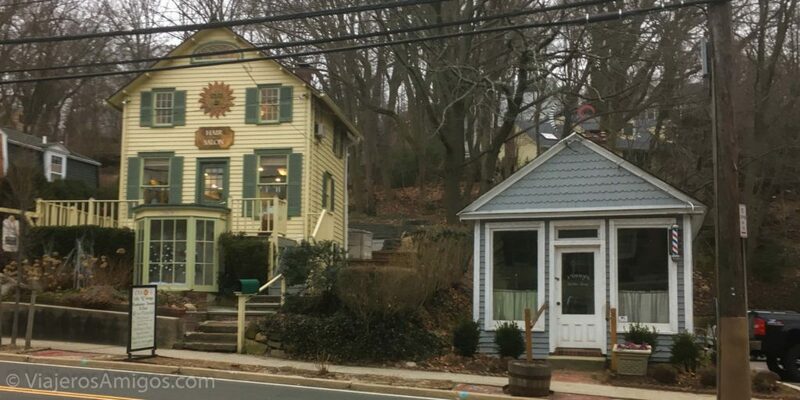 It is lined with a lot of historic homes and cute shops. 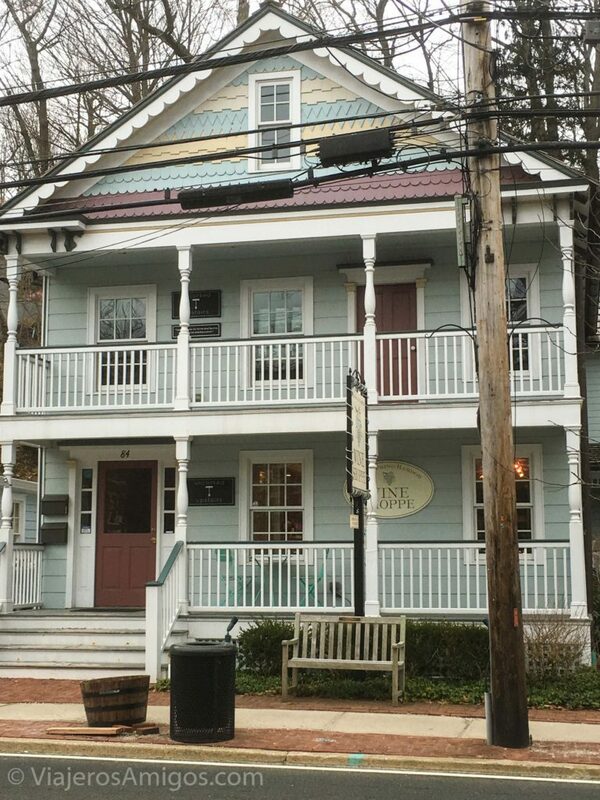 Once you’re done strolling, grab some lunch at Cold Spring Harbor Delicatessen. They make great sandwiches! The home of our 26th president, and my favorite president, Theodore Roosevelt. He lived in it from 1885 until his death in 1919. 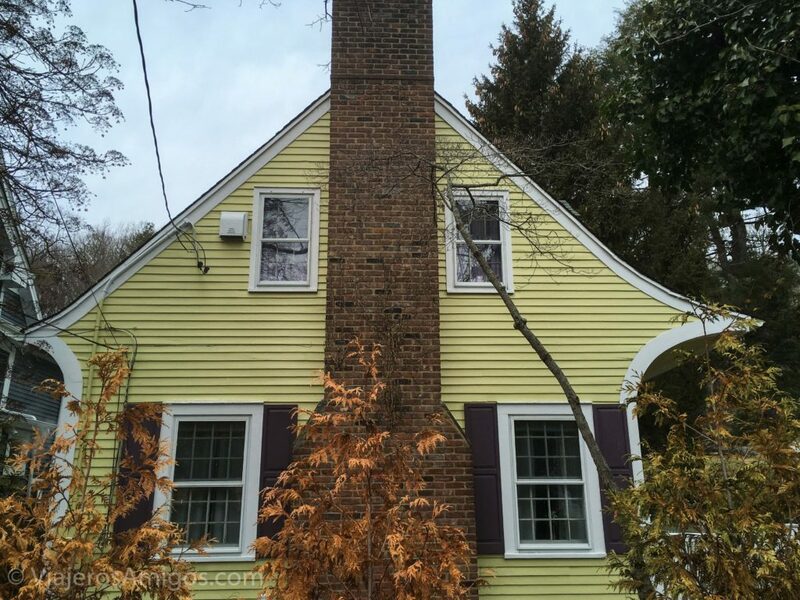 It’s a beautifully-preserved Victorian home recently renovated by the National Park Service. 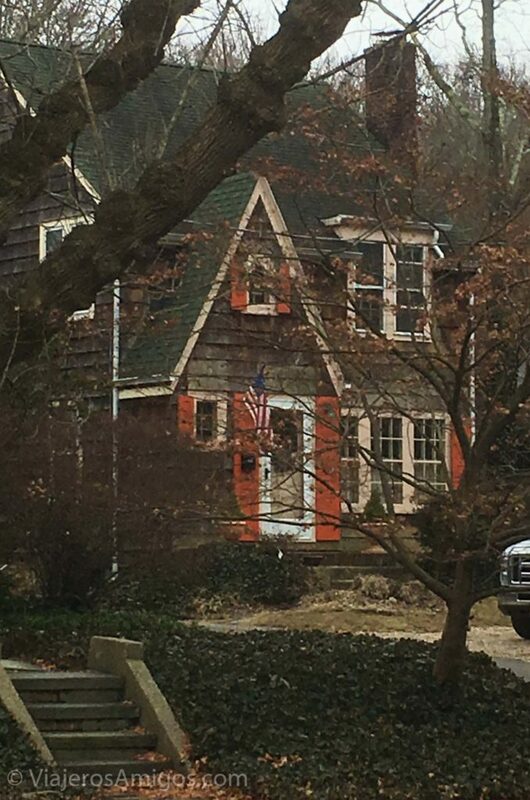 Back behind it is his son’s house, built in a Federal style in the early 20th century. A park with walking/biking trails, pony barns, and fishing. It’s nothing to write home about, but if you’re already up there for the day, it’s a good place to have a picnic. About two hours outside of New York City, it’s kind of out of the way of the average American. However, if you’re on Long Island visiting friends or family, it makes for a nice day trip. Go there for a morning and hang around until lunch. That’s all you need. Open daily 11am-5pm Memorial Day through Labor Day. Winter hours are 12pm-4pm Tues-Fri, 11am-5pm Sat and Sun. Adults $6, Seniors and children $5, free with active military ID.